While a practitioner of the same style, I am not part of Chu Shong Tin’s lineage, nor was I ever lucky enough to meet him. My work on the modern development of Wing Chun made me aware of his many contributions to the art, and like other readers I have benefited from his various essays and books. My initial plan for this post was to compose a brief summary of Chu Shong Tin’s life. Documenting the current history of the martial arts is just as important a task as delving into the deep past, and Chu’s career spanned an interesting period in the development and transformation of Hong Kong’s Kung Fu community. Chu did not abandon his quest lightly. Instead he continued to asked Ip Man about the meaning of the name daily. Each time he was told to simply keep practicing. And practice he did, almost constantly. Eventually he began to feel as though he was able to unravel the mystery of the form on his own. Chu remained busy teaching Wing Chun at his own school and with the VTAA throughout the following decade. Later he began to commit the fruits of his deep research into the principals of Siu Lim Tao to paper. In 1993 he published The Book of Wing Chun (in three volumes). 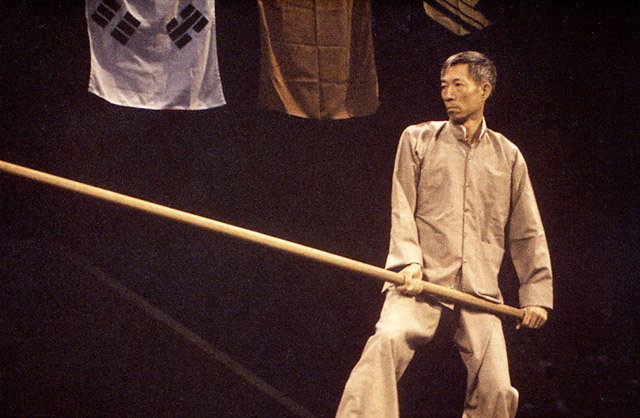 This Chinese language project examined the unarmed forms, the wooden dummy and both the pole and knife sets. The text was accompanied by line drawings. The author of the 2013 edition’s preface states that while Chu was happy with the content of these volumes, he felt that they failed to achieve their full potential as they never received sufficient promotion. 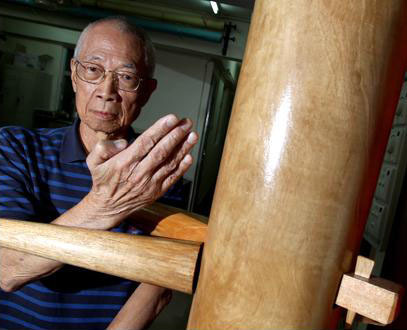 Chu Shong Tin made a number of contributions to the development and spread of modern Wing Chun which have received too little notice within the global community of practitioners. The Chinese martial arts have never been purely technical exercises in violence. Instead they have always existed as a distinct set of social institutions embedded within broader cultural systems. It bears repeating that without the early support and dedication of Leung Sheung, Lok Yiu and Chu Shong Tin, it is unlikely that Ip Man would have been able to establish the Wing Chun community that exists today. Indeed, it is the existence of students which calls a teacher into being. One cannot exist without the other. Current Wing Chun practitioners are fortunate to know as much about Chu’s practice as we do. Still, for students of Chinese martial studies he presents a number of problems and silences. Consider a few of the issues that didn’t really come up in the foregoing biographical sketch. What do we know about Chu’s family and their socio-economic situation in Guangdong? And why did they consider it necessary to leave in 1949 when so many other individuals did not? What sort of formal schooling did Chu receive, and what affect did that have on his life? It is interesting to note that many of the jobs that Chu had in the 1950s and 1960s were involved with the world of organized labor. This is important as unions had a somewhat complex relationship with the martial arts in southern China. What drew Chu to this line of work? What were his thoughts on the social unrest that gripped Hong Kong during the 1960s, and how did it affect his students? Chu loved Wing Chun and he always seemed ready to discuss it. Yet even though he left behind a body of essays, interviews and books, we actually know comparatively little about his own life and experience of Hong Kong’s changing landscapes. It seems that collectively we have been guilty of asking Chu only about the technical practice of his art and his teacher, but never really about himself. This is problematic precisely because the martial arts are part of a social system. As academic students we wish to get a better understanding of how they have evolved, their functional meaning in the life of the community and their relationship with larger social or economic trends. To do this we cannot look only to the founders of styles. We must instead start to ask detailed questions about those who followed them. For instance, given the manifest economic hardships of the early 1950s, why were some individuals, but not others, willing to dedicate so many resources to follow a martial arts teacher? Why did certain students sacrifice to perpetuate these systems when the vast majority of their classmates were content to move on? The biographical sketch that I have provided above brings up many fascinating questions, but it does not provide much in the way of answers. 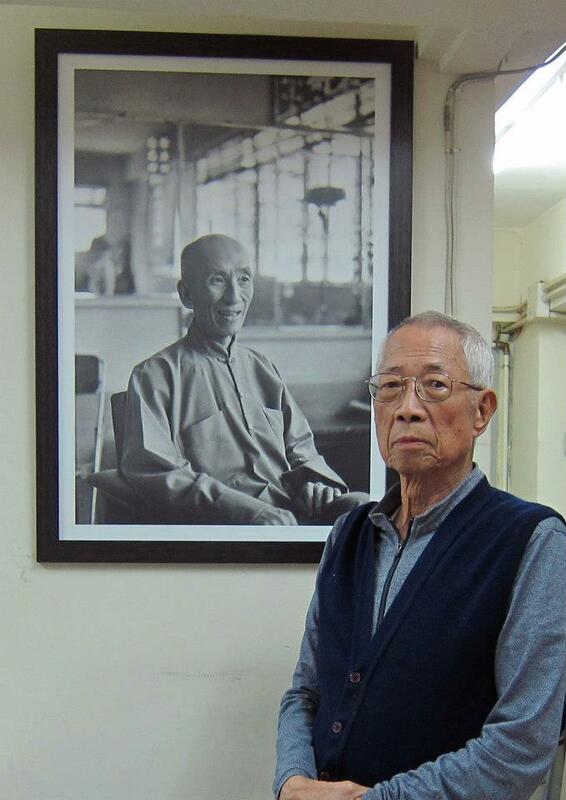 Chu’s understanding of his community, and his motivations for contributing to it, are left very much in the shadows of Ip Man’s achievements. While this may make for good Kung Fu hagiography, it does little to advance Chinese martial studies. Popular interviews with important figures can provide scholars with certain pieces of the larger puzzle. Yet to gain a clearer understanding of the situation two additional things are needed. The first is a curiosity about how the Chinese martial arts interact with other aspects of life. The second is a particular vantage point from which to investigate those questions. This brings us to back to theory. Academic theories are essentially maps of reality. We need these maps because reality itself is too big and complicated to be easily understood. “Real life” contains too many random events and spurious correlations. Whether we are attempting to do “thick description” or to test “causal theories,” we need some set of assumptions that tell us what sorts of events are significant and meaningful, and which ones are not. While certain historians and journalists are fond of “letting the facts speak for themselves,” this is fundamentally a delusion. One knows that a given observation is a “fact” only because you already hold a theory that tells you it is so. Indeed, theory seems to be hardwired into the human retina. Given that we cannot escape it, we have an obligation to acknowledge its existence and make some conscious decisions about how we intend to employ it. An overreliance on theory does not make academic discussions inaccessible. As I have explained to my students numerous times, poorly defined researched questions and bad writing are much more likely to lie at the heart of unreadable papers. Theory itself should be liberating. In the hands of skilled researchers theory expands our understanding precisely because it allows us to ask better questions about our research subjects than we otherwise could. It suggests puzzles which can only be resolved as we dig a little deeper into the historical record, looking for new and different types of data. Far from detracting from empirical description, theory drives us to make new discoveries. It suggests new avenues for investigation that are often counter-intuitive and exciting. The question of what sort of theory to employ in a given situation is often a vexing one. Indeed academic students spend much of their time arguing about the superiority of various research methods and assumptions. These conversations are complicated by the fact that they generally lack easy answers. Different theoretical approaches may reveal or obscure various aspects of the same research subject. Let us return to the career of Chu Shong Tin to see how all of this might play out. A student of cultural studies might look at Chu’s career and emphasize the role of popular literature and film in the development of the modern Wing Chun community. None of the existing interviews speak to Chu’s taste in literature, or the sorts of films and TV programs that were popular among his students. Still, if that information could be uncovered through interviews it might help to reveal quite a bit about how these individuals understood the social meaning of the martial arts and their place in society. This new data could speak to questions as diverse as the shifting nature of Hong Kong identity or the variety of cultural responses to the pressures of globalization. A student of political economy or economic history might have a very different set of interests when looking at Chu’s life. His repeated association with various labor organizations is a potentially important subject. What can the development of the modern martial arts tell us about evolution of Hong Kong’s labor market? Given that Chu directly witnessed multiple periods of radical transition in Hong Kong’s economic history (from a shipping hub to center for light manufacturing to its current state as a financial destination) what can the evolution of his martial arts school reveal about the actual social costs and contours of this process. These are only two possibilities. There are many other approaches that might yield equally interesting questions. Critics might object to the appropriation of Chu’s memory to advance lines of inquiry that probably are not directly related to his understanding of Wing Chun. Still, properly done such studies could help to fill in the blank spaces in Chu’s biography while at the same time illuminating the complicated ways in which the martial arts, as a set of social intuitions, interact with southern China’s broader popular culture. The traditional southern Chinese martial arts are currently undergoing a pronounced generational shift. Chu’s passing only underscores that truth. We are emerging from an era that saw vast changes in these fighting systems as the reforms of the 1930s and 1940s were consolidated just in time for many of these arts to be introduced to the global marketplace. It is important that current students document as much of this transitional phase as possible. In practice this means turning our attention to oral history projects, or looking at the more recent historical development of local schools. Still, for these efforts to be effective it is not enough to focus only on the technical transmission of these fighting systems (though that is often an important and very interesting topic). Instead we need to remember that each of these teachers and schools exists within a broader social environment. Adopting appropriate theoretical frameworks can help us to better understand these relationships and ask more interesting questions about the historical record. If you enjoyed this post you might also want to read: Lives of Chinese Martial Artists (5): Lau Bun—A Kung Fu Pioneer in America. Well done! A remarkable remembrance of a remarkable man.I do hope this essay draws out further information into the life of someone who contributed so much to the Wing Chun community. Thanks Sifu! I also hope that we hear some additional thoughtful discussion of Chu Shong Tin’s legacy in the coming years. You mentioned at the beginning of the article that master chu shong tin left behind a wealth of information of his own approach to the soft aspects. Firstly, are any of them in english and second, could you direct me to some of the more complete insights written by him? It would be very nice to gain some insight into his approach of the more fundamental aspects of wing chun. Hi Dave. Chu Shong Tin wrote two books that were released in a bi-lingual English and Chinese set in 2013 and 2014. There are links to them in the article, or you can just google their title “The Book of Wing Chun” (Revised edition). If you are looking for a shorter and more concise statement he wrote an essay that was translated into English and included in the “Ip Man Ving Tsun 50th Anniversary” volume. Also if you poke around on youtube you can see a number of interviews and demonstrations with him. Our practitioners have really appreciated your article on the late Chu Shong Tin, which seems to be the best researched & written article documenting his life’s work to date. Can I the editor of ‘Little Ideas’ Australian Wing Chun Federation Newsletter have permission to republish in it’s entirety in our Spring 2014 edition? Yes, feel free to republish it in your newsletter as long as my name and the source is listed and it is understood that I retain the copyright. I would be honored to have it be included. Hey is there any chance you could email me a copy of the newsletter when it comes out? I would love to hear what is going on in the Australian WC community. Any chance you can send me your actual email address as I don’t think this wordpress link will work in our newsletter mailing database?